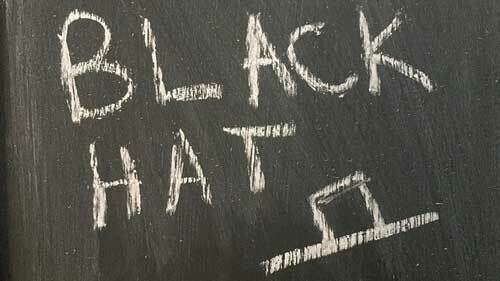 Black Hat SEO is like that black widow spider in the world of web. The venom is useful for medicinal purpose but if bitten you will be dead in few seconds. First of all, before we begin the discussion it is important to know what SEO is. We all know that SEO is the abbreviated form of Search Engine Optimization. Lucidly speaking, SEO is a collection of proven methods that makes your website visible and preferably in the first few results when the user runs a relevant search in the popular, unpaid search engines like Google, Bing, etc. White Hat SEO is those techniques which are approved by the search engine. Obviously, the methods used in Black Hat SEO are not in the official list. These methods are condemned by the search engines. Quite a bold streak of dishonesty can be seen in these methods. A usual example is to build a page meant to be in the first few ranks of the search engine. As the user gets into the page he deprived of content and redirected to some other page with completely different content. Page hijacking is another Black hat SEO. In this case however, the user is harmed as the hacker redirects the user to a page containing malicious elements. Clicking on a link on this page may initiate a virus being sent to the user’s computer or website. Another common method of web designers using Black Hat methods is called Cloaking SEO. In this technique, the content read by the search engine is different from that read by the user. Two different pages are being presented to the bot of the search engine and to that of the viewer. They often use Doorway pages in this regard. These pages are of little use to the viewer content wise. It only helps to get a good search engine optimization. Doorway pages may be a single web page, a collection of web pages and in extreme cases web designers may build an entire website for this purpose. Another interesting method to gain the attention of the SEO bots is to use keywords repeatedly in the same content. Usually these keywords are completely unrelated to the text or the content of the website. In this way, the user typing those keywords will land up into this website but will be exposed to contents which he does not need. This is called Metatag Stuffing. Keyword Stuffing is also regarded as a dishonest method in SEO. In this case, the keywords are in context to the text but increasing the density of the keywords help to increase the SEO impact of the website. Thus a website reaches the initial and the top priority search links without actually deserving it. Black Hat or Spamdexing may yield some initial result but it is to be noted that the programmers who run these search engines are always developing their programs to sieve out these kinds of deceptions. The problem is if you are being detected using Black Hat SEO, your website may be penalized. Are you in need of website traffic to your website or business? Receive free website hits to your site today by signing up to 10KHits!